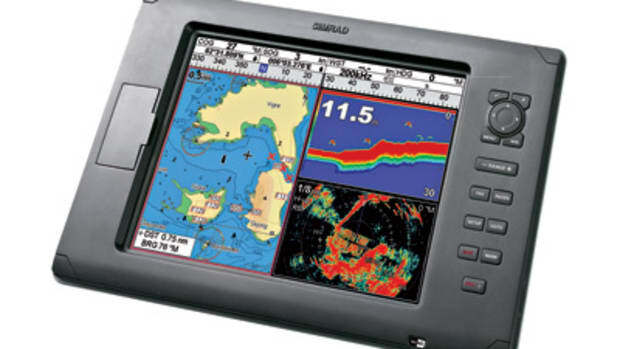 All the new features of Nobeltec Admiral 9.0 may not be built into the Simrad GB60 yet, but I&apos;ll bet they will be eventually. 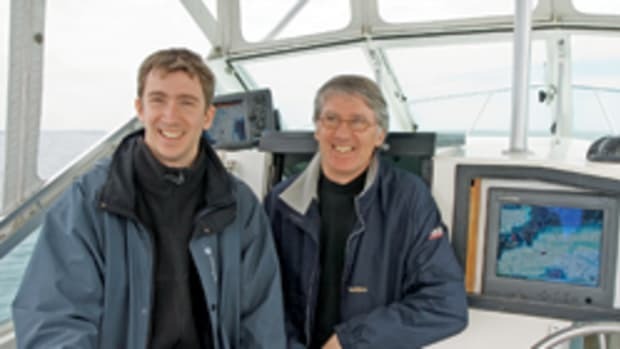 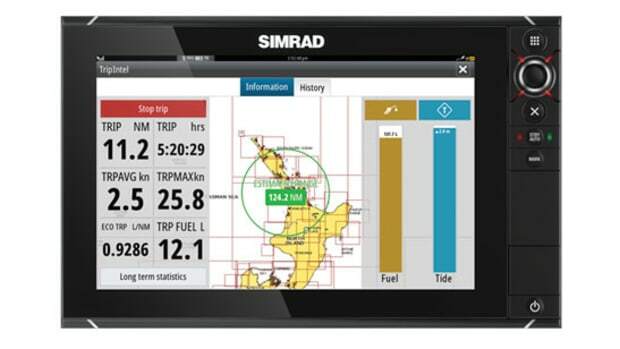 Simrad has clearly worked closely with Jeppesen Marine—why reinvent the software wheel?—in creating a complete high-end, PC-based navigation system. 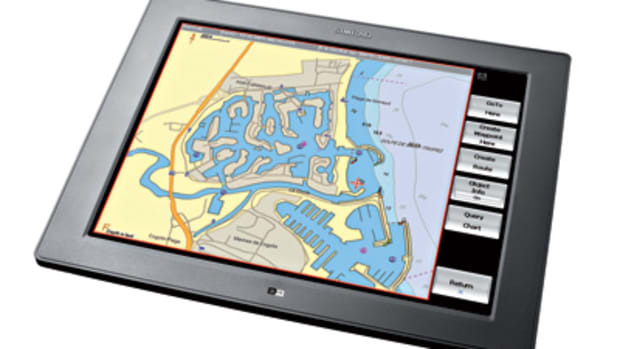 The setup shown costs $28,000, including the three specially developed, 19-inch, slim-bezel GB monitors (12-inch and 15-inch sizes also available). 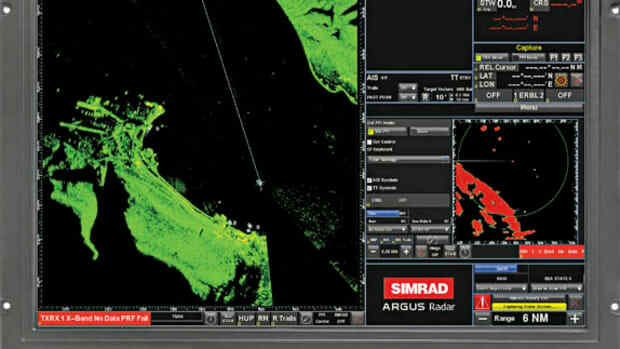 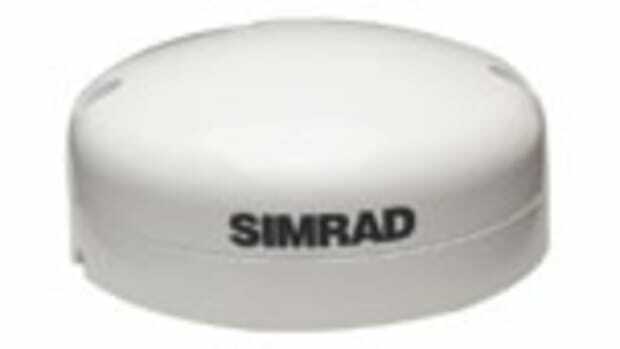 The radar interface box, also shown, can work with up to two scanners from a wide range, especially GB designed, and there&apos;s an alternate interface box for existing, even type-approved, Simrad sets. 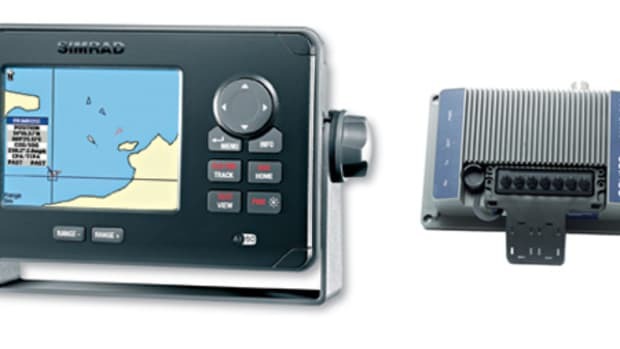 The dual-processor black box PC at the center of this system is the most connected I&apos;ve ever seen, including four camera/video inputs and two SimNet/NMEA 2000 ports. 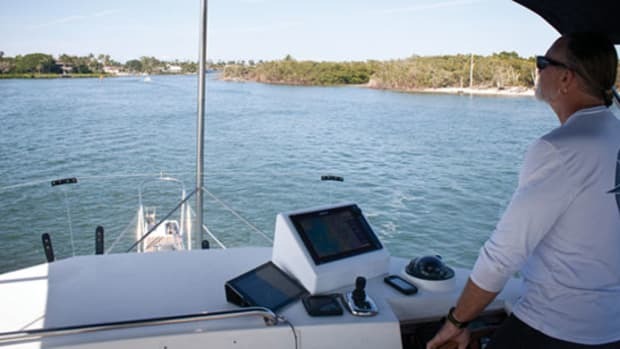 The latter should make for easy relationships with Simrad SimNet gear like autopilots, VHFs, and instruments as well as sensors built by other manufacturers. 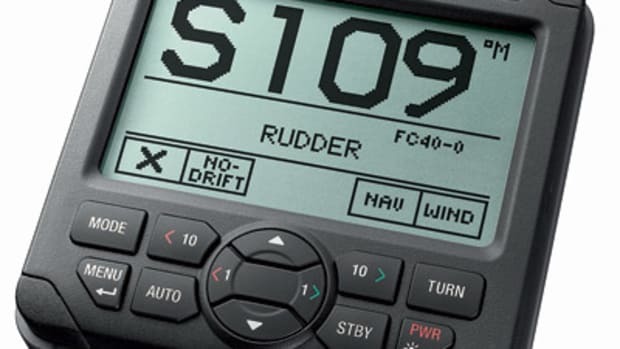 The all-24-volt GB60 can expand to include 12 monitors, and interface choices include not only the waterproof keyboard shown but also joysticks and no less than two configurations of that cool armrest-mountable remote.